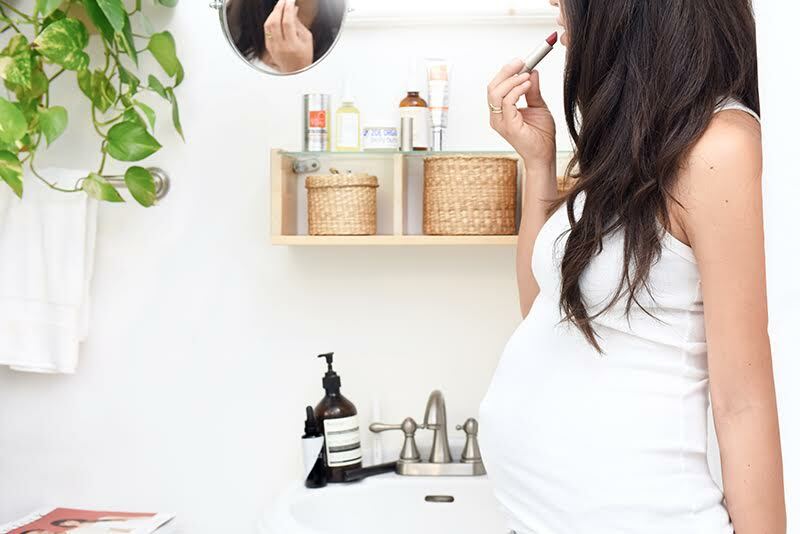 Getting pregnant is one sure way to motivate yourself to clean up your act—from your beauty routine and diet to everyday cleaning products. However, just because something is labeled “all-natural” (pretty much everything is these days), it doesn’t necessarily mean it’s free from harmful chemicals. To help you navigate these tricky waters, we tapped Suzanne Price, the owner of Sprout, a natural and organic kids’ store with ruthlessly vetted products, to lead the way. Pregnant or not, these are notes we should all take to heart. CleanWell Botanical Disinfecting Wipes, $12.99, Amazon. CleanWell Botanical Disinfectant All Purpose Cleaner, $8.24, Amazon. CleanWell Pocket Hand Sanitizer Spray, $4.49, Sprout. CleanWell All Natural Anti Bacterial Foaming Hand Soap, $4.49, Amazon. The Honest Company Aromatic Soy Candle, $21.94, Amazon. Dapple Fragrance-Free Baby Bottle and Dish Liquid, $5.99, Amazon. Dapple Stain Remover, $4.99, Sprout. Honest Dishwasher Pods, $14.51, Amazon. Honest Laundry Pods, $20.06, Amazon. Earth Mama Angel Baby Morning Wellness Tea, $7.50, Sprout. Bkr Glass Bottle, $35, Amazon. Zoe Organics Belly Butter, $20, Credo. Ella + Mila Nail Polish, $10.50, Amazon. Mambino New Beginnings Pore Refining Face Wash, $22, Sprout. Cake Anti-Aging Growth Serum, $72, Credo. Antonym Cosmetics Lola Lash Mascara, $23, Credo. Suntegrity Moisturizing Face Sunscreen and Primer, SPF 30, $30, Credo. Lina Hanson Global Baby Serum, $35, Credo. Nine Naturals Citrus Mint Shampoo, $19, Amazon. Nine Naturals Citrus Mint Conditioner, $20, Credo. Nine Naturals Citrus Geranium Bodywash, $19, Amazon. Mama Mio Gorgeous Glow Balancing Facial Wash, $33, Amazon. Love Fresh Deodorant, $21, Credo. Tammy Fender’s Skin Tone Brightening System, $185, Amazon. RMS Living Luminizer, $38, Credo. Lily Lolo Lipgloss, $18, Credo.